Who will win the next My Little Pony One Chapter Beat Down fight? 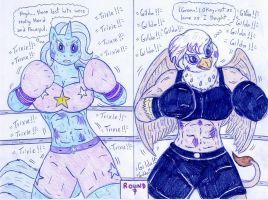 Gilda's physically superior, but Trixie's more resourceful, so I'm giving this one to the unicorn. I"m glad you picked my idea, thank you.